Occupied Jerusalem - The UN’s Mideast envoy has called the murder of a Palestinian in the occupied West Bank by Jewish colonists “shocking and unacceptable”. Nikolay Mladenov on Sunday called on the Israeli regime to “put an end to ...[colonist] violence and bring those responsible to justice”. 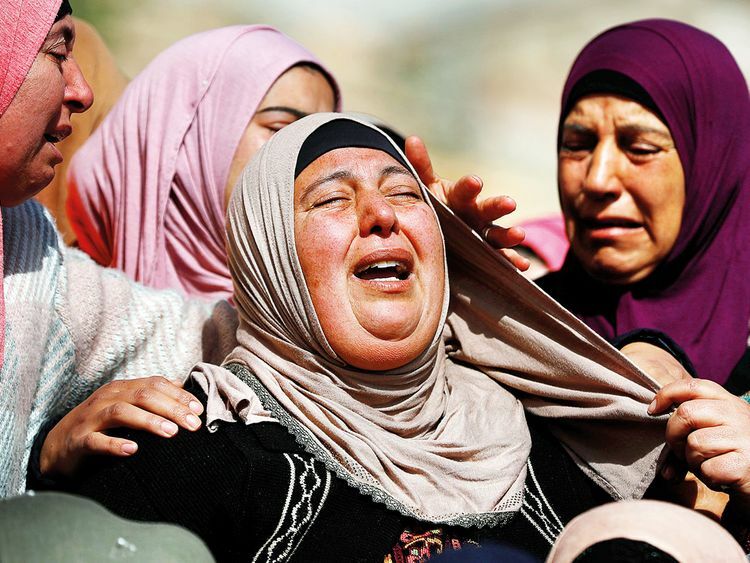 Hamdi Naasan, 38, was killed Saturday near the village of Al Mughayyir, close to Ramallah. The Palestinians say colonists shot him. The Palestinian health ministry said the man was one of at least six Palestinians shot by colonists in Al Mughayir village near Ramallah. Palestinian President Mahmoud Abbas condemned the killing. “The Israeli Government is continuing its policy of escalation,” Abbas said in a statement published by the official Wafa news agency. “This will lead to serious consequences, further tension and the creation of a dangerous and uncontrollable atmosphere.” Peace talks between Israel and the Palestinians broke down in 2014, and a bid by US President Donald Trump to restart negotiations has so far shown little progress. Weekly marches have been held in the village of Al Mughayir for the past two months against extremist colonist outpost of Mevo Shiloh, which even the Israeli regime agrees is illegal. Dozens of Palestinians have been attacked and seriously wounded over the past two months in this village. The colonists prevent the villagers from accessing their land, destroy their crops and graze their flocks in their fields. The Palestinians’ cars have been damaged and defaced with offensive graffiti. All this as the occupying power looks on. Meanwhile, the murder came days after Israel charged a Jewish teenager with manslaughter in the death of a Palestinian woman in the West Bank. The 200 Jewish colonies the Israeli regime has built in the West Bank, and the 620,000 extremists who live there are a central aspect in the Middle East conflict. The colonists represent the ugliest face of the Israeli occupation. They are extremists armed to the teeth, and believe they have a God-given right to the land. They have a carte blanche from the regime to use violence against the Palestinians. So when they are not throwing garbage into the homes of their neighbours and their children are not pulling the headscarves from the heads of Palestinian women, they are busy uprooting olive trees and shooting civilians. Colonies impact the Palestinians in multiple ways: It is not only the land and grazing areas that are seized for the colony block itself; the regime also appropriates land for the colonist-only roadway system surrounding the residential units. The separation wall snakes around the colonies, cutting off Palestinian farmers from their farmlands. At one level, colonies help the Israeli regime create new ‘ground realities’ it hopes to use as leverage when (and if) there is a final peace settlement. At another, they are a humiliating reminder for the Palestinians of their continuing dispossession, and of the scale of the injustice that has befallen them.